Tennis lessons Singapore – Tennis lessons for kids is great for hand-eye coordination, muscle development, cardio fitness, and agility. It is a whole-body workout with excellent benefits all around. Finding and deciding to take on tennis lessons in Singapore, whether you are looking for adult tennis lessons or kids tennis lessons, is an exciting task for friends and family as good company to have tennis lessons with is the first step towards committing to the sport. 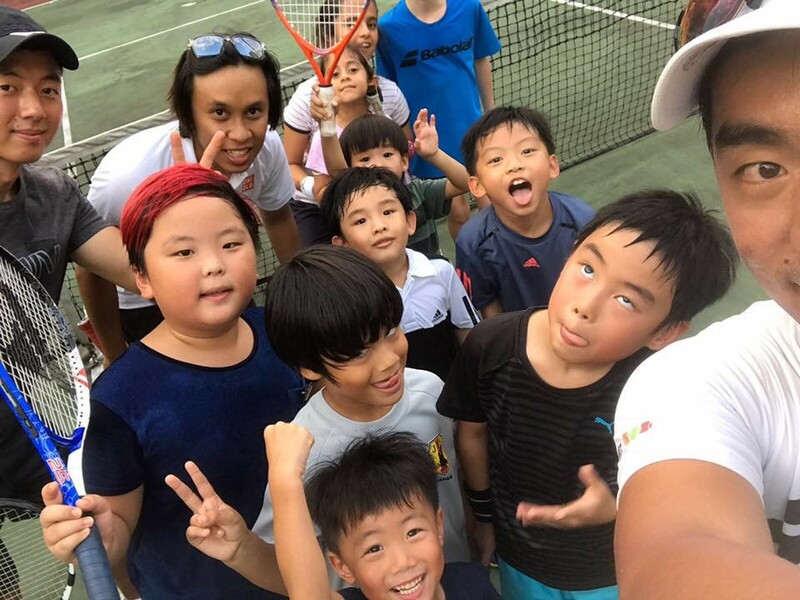 There are many professional tennis coaches available across Singapore that cater for different skills, different ages, and different levels of tennis. With so many options available, it can be hard to narrow down the choices. Here are some tips to help you understand the different things you can get out of a tennis lesson and what will work best for you. First of all, there are many ways to learn tennis. Some people learn better in a group setting, so might prefer group tennis classes with the added social interaction with other players. Others rather learn on their own and gain more out of a private tennis class. These types of lessons are also more available, and may cost a little extra. Of course, you can always have both group tennis lessons and private tennis lessons to mix it up throughout the week. What level of tennis do you want to play? Tennis lessons come in a variety of levels. This is so that people of all skills can find something right for them – children tennis lessons are great for kids who are just starting out, or adult tennis lessons for players playing for the first time or reconnecting with the sport. In beginner tennis lessons, the more basic skills such as footwork and hitting techniques will be the main focus. In advanced and intermediate tennis lessons, there will be more focus on refining skills and introducing new racket holds. These lessons may be more intense and have more agility drills to improve footwork and exercises to improve cardio. Other types of tennis lessons, such as group tennis coaching, might have the scope for social tennis matchplay and games. These types of lessons are more enjoyable for people already have some tennis skills and really just want something low-key to let them have fun while getting fit. It is also a great way to socialise and meet other people with a similar interest in tennis. Are you interested in tennis clinics or tennis camps in Singapore? Across Singapore, another fun and engaging way to have tennis lessons is to attend junior tennis camps or tennis clinics in Singapore. These are high intensity, drill based tennis lessons that are highly immersive and focus on getting better at tennis in a quickened manner. They are a great way to build up confidence and competence on the court. These types of tennis lessons are best done in conjunction with ongoing tennis lessons throughout the years so that the skillset continues to grow. …so keep practicing to refine your tennis skills during all types of tennis lessons in Singapore with a professional tennis coach today!